PlaNYC is New York City's climate change strategy. 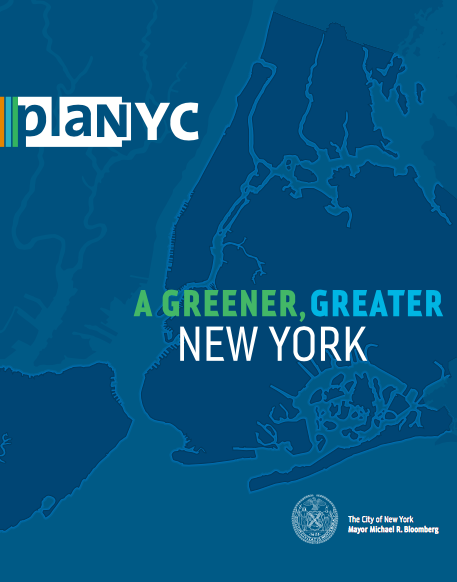 All of PlaNYC's strategies - from reducing the number of cars to building cleaner, more efficient power plants to addressing inefficiencies in buildings - will contribute to their long term emissions reductions target. In addition, it outlines a plan to embark on a long term planning effort to develop a climate change adaptation strategy, to prepare New York City for the climate shifts that are already unavoidable.